Spruce Peak offers guests over 300 beautiful guest stay options, including The Lodge, a luxurious 4-diamond resort at the center of The Village, our large luxury rental collection and the highly coveted Spruce Peak Penthouses. Each guest stay experience at Spruce Peak is designed to feel like it’s truly a part of the mountain. A unique opportunity for those seeking the height of luxury in the perfect four-season alpine residential enclave. From the 3,000 square foot Penthouses and the equally stunning condominiums at The Lodge to the immersive offerings throughout The Village. The Sparkle Club - Every Friday Evening! Spruce Peak Chamber Music Society Presents: Family, Fun, Five "B's"! The Northeast's favorite slopeside Lodge has evolved into a unique mountain destination experience. Our Spruce Peak community is committed to enriching the lives and experiences of our guests, members and those who have chosen to make Spruce Peak their home. Enjoy luxury accommodations, access to our bustling Village, diverse recreation, performing arts center and exceptional dining. 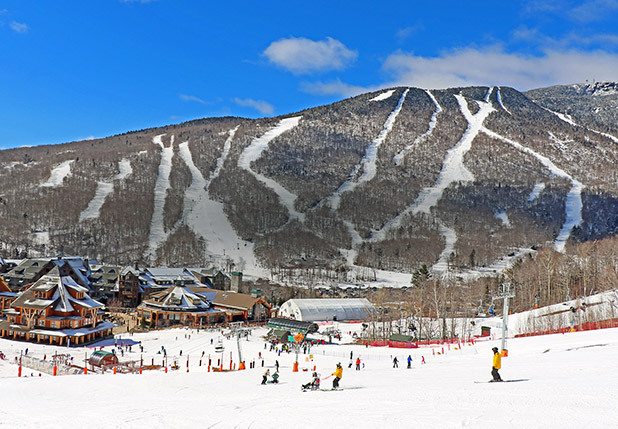 Discover new traditions and create connections to the mountains, to Vermont and to each other.